When it comes to the holiday season and I’m entertaining my family and friends, it’s a constant feeding, baking/cooking frenzy that I have to get up at the early hours of the morning to prep for the day of the big dinner (Thanksgiving, Christmas, New Year’s, you name it). The best way to keep the crowds at bay and away from the kitchen is to provide them with snacks and a drink. 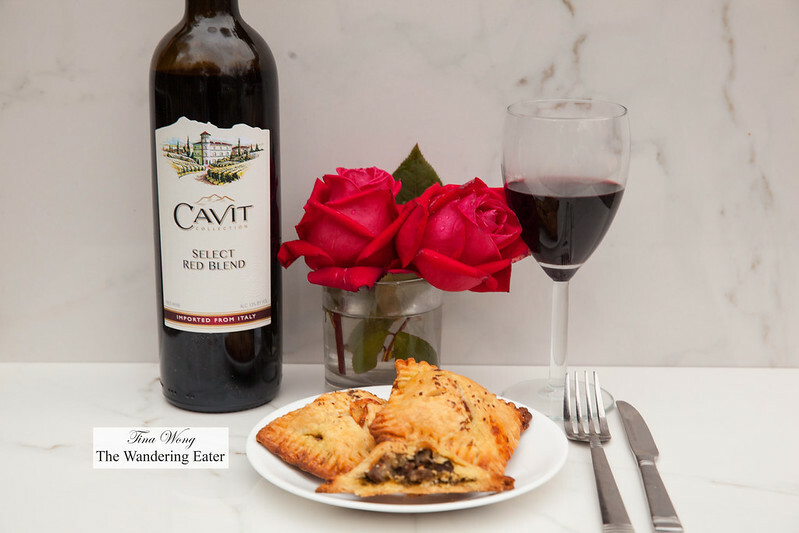 While it’s easy to provide them with bowls of fresh roast nuts and platters of cheese and charcuterie, I like to give them something savory like these lamb persillade hand pies served with glasses of Cavit wine to get the party started. Cavit wines come from the Trentino or Alto Adige zone at the northern extreme of Italy, where it borders Austria. The region’s geography is defined by the southern fingers of the Alps and the Adige River forming valleys where grapes can thrive. Cavit is a cooperative of, today, eleven wineries and thousands of growers. The co-op was formed in the 1950’s for Trentino’s farmers to share resources. Their venture was named Cantina Viticolori del Trentino-shortened to Ca’Vit or marketed as Cavit. 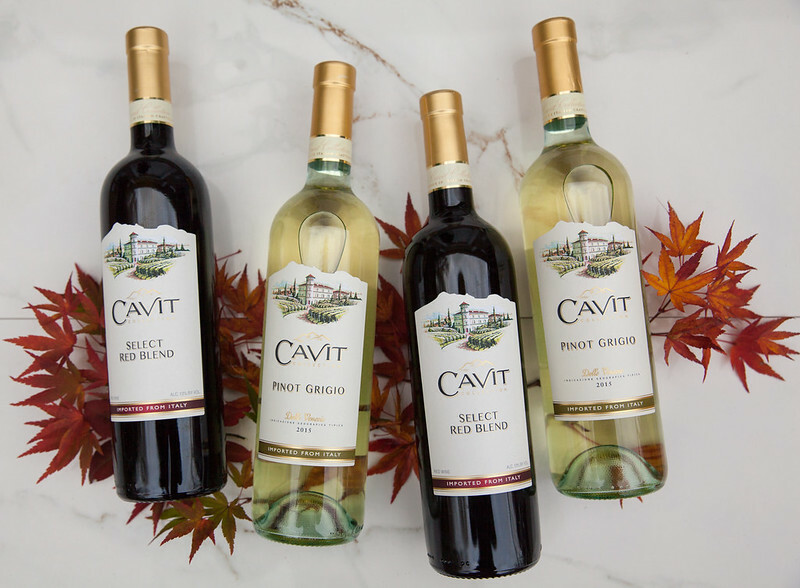 Cavit Pinot Grigio is a light, citrusy, very clean, refreshing and easy to drink. Pale gold in the glass, it works with a wide variety of food, especially the lighter, healthy fare. The Select Red Blend incorporates the powerful structure of Cabernet Sauvignon, softness of Merlot, fresh fruit of Teroldego and a hint of spice from Syrah in a perfectly balanced, full-bodied wine with a rich, smooth palate that generally works better for red meats or foods that have a bolder flavor. When to pair the wines to the lamb pie, I prefer the Select Red Blend over the Pinot Grigio but it can go either way. The buttery, flaky pie crust with the intense, bright flavors of the persillade and lamb. 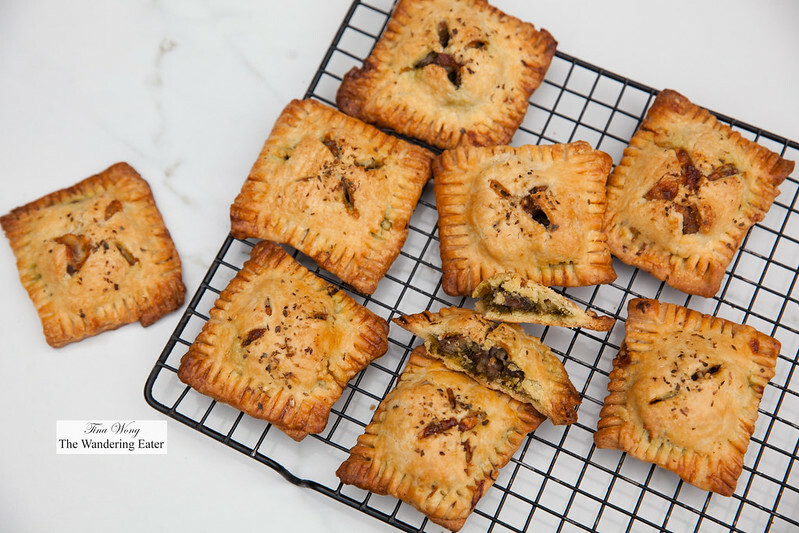 What’s also great about these hand pies is that you can make this ahead of time (though it’s better served warm) and there’s flexibility with the flavors of the filling and the filling can be your holiday leftovers. Mix flour, sugar, and salt in processor. Add butter; pulse until coarse meal forms. Gradually blend in enough ice water to form moist clumps. Gather dough into ball; divide in half. Form dough into 2 balls; flatten into disks. Wrap each in plastic; chill 2 hours or overnight. Heat oven to 425 degrees. Trim excess fat from lamb. In a food processor, make persillade by puréeing olive oil, parsley, garlic, lemon zest and some salt and pepper. Sprinkle lamb with salt and pepper on both sides, then turn so the side that had been on the bone, the one with the more irregular surface, is facing up, with the wider end facing you. Smear the surface of lamb with most of persillade mixture, then fold it in half (there will be a kind of natural hinge, as you’ll see) with persillade on the inside. Save the remaining persillade and set aside. Preheat the oven to 425°F and prepare two sheet pans lined with Silpats or parchment paper. Roll out the pie dough on a lightly floured surface with a rolling pin. Roll to 1/8-inch thickness and stamp out with a 3-inch square cookie cookie cutter. If there’s dough leftover from each process, re-roll the dough and repeat until you’ve completed the process and count out about 24 squares to make the 1 dozen pies. On half of the pie squares, spread about 1/2 teaspoon of persillade but leave about 1/4-inch border to have room to crimp and seal the pies and top it with a 1/4 teaspoon of cooked lamb. Cover each pie with the unseasoned pie crust and use the tines of the fork, floured and press down firmly around the edges of the pie. Set the pies on the prepared sheet pan with a 1/2-inch space and brush the pies with an egg wash. Sprinkle some large flaked sea salt (I sprinkled dried oregano and sea salt mixture for added flavor). Cavit Select Red Blend Braised Lamb Bites with Feta Thyme Sauce from Honest Cooking on Vimeo.